Nineteen Sixties can be considered the best years of sports at St. Benedict’s College. During this period St. Benedict’s produced many unbeaten and champion teams in Cricket, Football, Hockey & Basketball. Rugby was first introduced as a sport at St. Benedict’s in 1963. In Athletics, St Benedict’s had many outstanding performers at Public Schools and Junior National meets. It was a regular feature that the sports pages of all the leading newspapers carried headline news of St. Benedict’s College’s achievements. The popular Daily Mirror, then in tabloid form, was sold in the school at 10 cents a copy. The man behind these sports achievements was the Prefect of Games at St. Benedict’s College Mr. Bede Puvimannasinghe, teacher, disciplinarian and a gentleman. 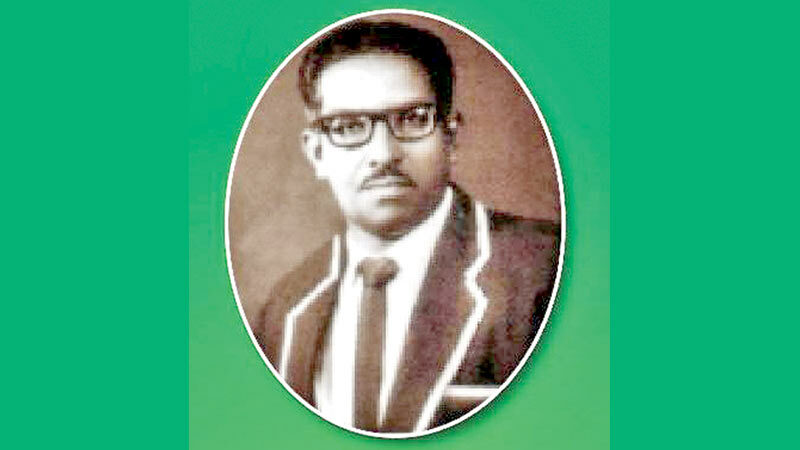 A graduate from the University of Ceylon, Peradeniya, he had a tremendous task to ensure the high standards demanded from the college teams in the Nineteen Sixties. He co-ordinated with the Masters-in Charge and the coaches who were the best in the business; Cricket – R.B. Wijesinghe, Football – Albert Fernando, Hockey – Brian Assey, Basketball – Ram Sundaralingam and Rugby – Newman, to ensure that all the facilities required by them were provided and they in turn delivered the desired results. It was the time when the college boys and Old Bens followed and cheered the Benedictine teams wherever they played. Mr.Bede Puvimannasinghe took over as the Prefect of Games from the legendary teacher Mr. A.Gnanapragasam, who was appointed as the first layman Prefect of Games by then Director Rev. Bro. Oliver, to succeed the famous Czechoslovakian Rev. Bro. Ladislaus. The directors that followed Rev. Bro. Alban, Rev. Bro. Athanasius and Rev. Bro. Lawrence were all sports lovers and sports at St. Benedict’s thrived and reached the highest ever standards in the history of the college. One of the main features of the Gnanapragasam and Puvimannasinghe eras was the creation of a healthy understanding with the outside world. The relationships between St. Benedict’s and other leading schools improved greatly during this period. The Directors and Prefects of Games of St. Benedict’s were holding the top positions in the main Schools Sports Associations. Mr. Puvimannasinghe held the positions of Secretary of Ceylon Schools Cricket Association, Secretary of Ceylon Schools Athletics Association and Secretary of Ceylon Schools Basketball Association at different times. The achievements of Benedictine sportsmen began to be recognised and well known throughout the country. College sportsmen of that time owe a great deal of gratitude to Mr. Puvimannasinghe for the boost they received as a result of his involvement in local sports scene. Mr. Bede Puvimannasinghe’s demise at the young age of 39 after 16 years of dedicated and loyal service at his Alma Mater was a huge blow to St. Benedict’s. If he had lived, some of the issues the school was confronted with in the 1970’s could have been avoided. His leadership role in the tutorial staff and within the Old Boys Union and the Old Benedictines Sports Club would have helped the College to clear many a hurdle and ensured the traditional high standards of St. Benedict’s College. On 3 April 1969, exactly 50 years ago this week, his strong baritone voice was stilled forever, sadly for our beloved school. Note: Past students and family of Mr. Bede Puvimannasinghe will celebrate his life and memory at a service at the Old Benedictines Sports Club on Saturday, 6 April at 5.00 p.m. All Benedictines, the Brothers, Teachers and Old Boys are invited to this evening of remembrance and worship.